end products of all that labor! 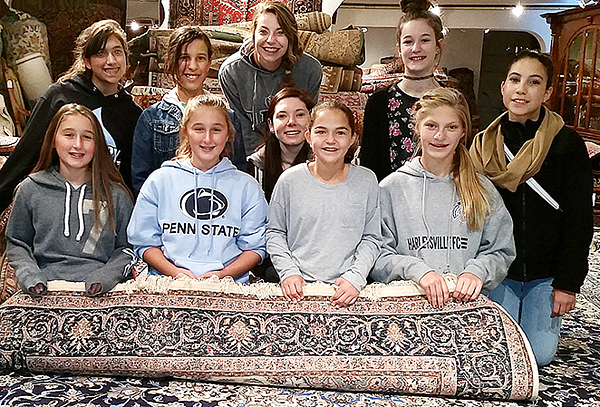 This entry was posted in Doylestown and tagged how the materials and techniques used in the process of rugmaking have remained consistent over the centuries, sightseeing in Doylestown, they didn't really fly on a magic carpet, visit the Nejad Rugs showroom at 1 North Main Street, young girls learn about handmade rugs by Theresa Nejad. Bookmark the permalink.